Daysies was very sad that the women's outerwear didn't have a scarf. She liked the teen's outfit, so I converted it for her to adult, and made a new recolor for it also. This should be compatible with all EPs, categorized for everyday and outerwear. It should work for you, even if you DO NOT have Seasons. Recolor as you wish (on free sites) see readme for details. 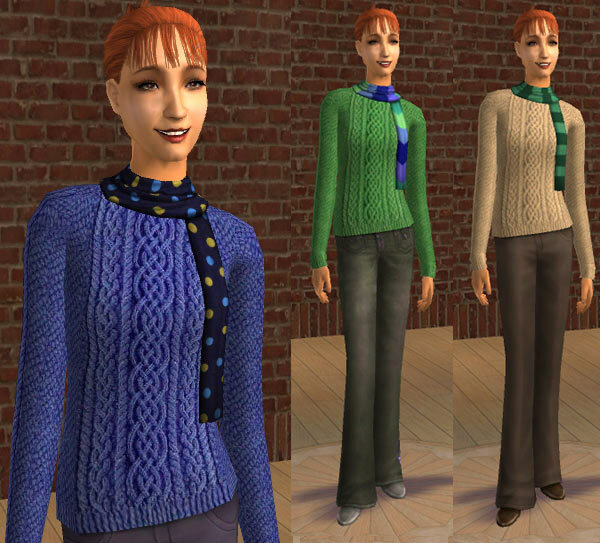 Please do not copy/use the texture from the cable knit sweaters, that is my creation. 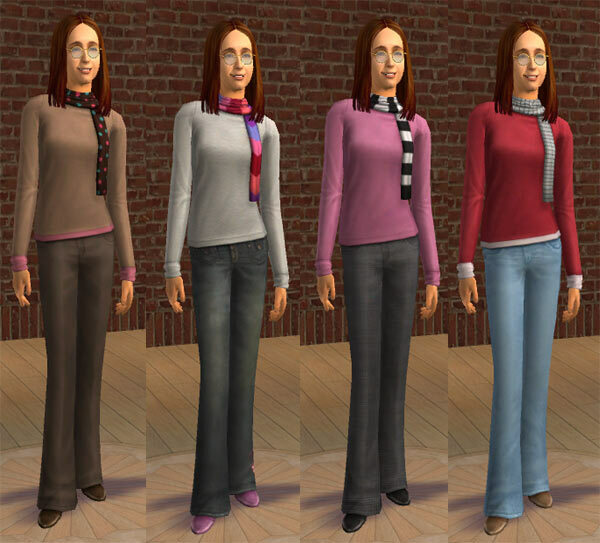 Based on the Maxis mesh for teens. 625 people have said thanks to tiggerypum for this download.